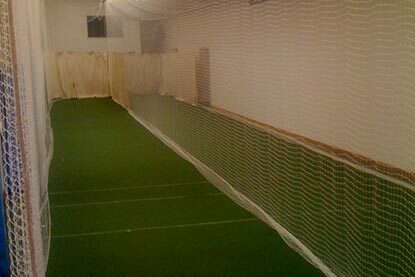 The Cricket Ground Shop can advise on the ideal layout to suit your sports hall, level of intended play (e.g. 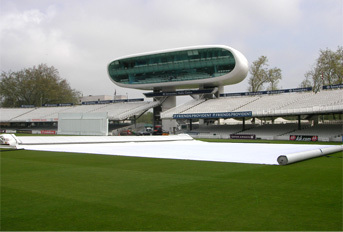 ECB standard or club standard), budget and other specific requirements. Each installation is bespoke to your requirements. Please call us to help plan and advise on your facility. Supporting trackway is manufactured from heavy duty box section extruded aluminum. 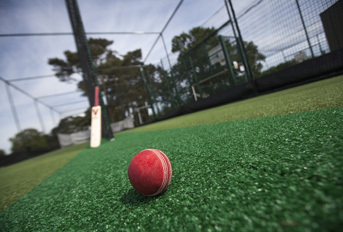 The design of the trackway enables cricket nets to be installed into sports halls with widely differing roof structures. 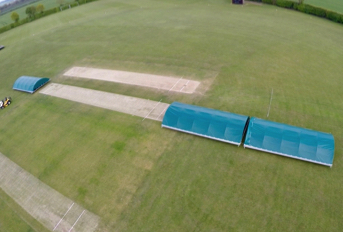 To enable the optimum layout to be achieved, trackway crossovers and curves can be incorporated into the system. 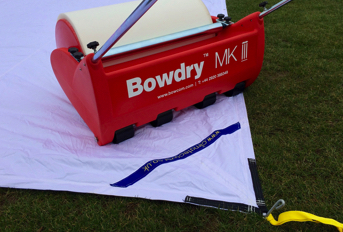 The netting is supported by heavy duty runners to provide smooth deployment and storage. 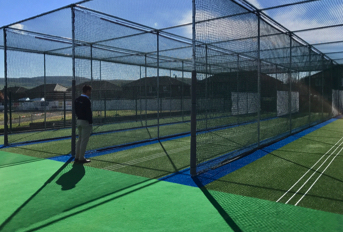 Top quality nylon nets are provided and canvas sight screens are incorporated to shield the batsmen from distractions and to enhance vision of the ball. 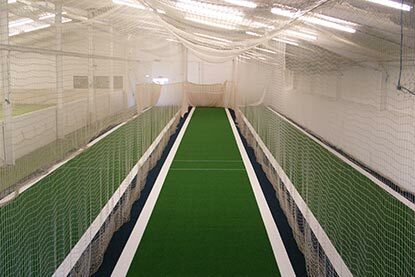 Nets are stored in heavy duty PVC pouches to protect and keep nets clean when not in use whilst at the same time avoiding interference with other activities. 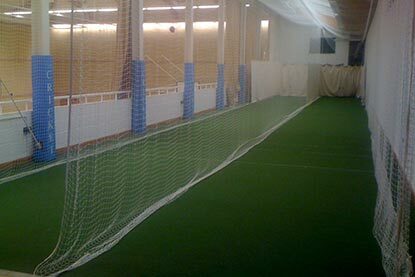 All netting can be provided to flame retardant specification BS 5872, Part 2, 1980 type A and B performance. Contact a member of the team to discuss your particular requirements. 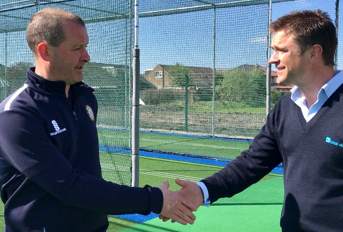 We are also able to advise, supply and install the most appropriate playing surface for your specific hall should it be multi sports or cricket specific.